Texas is THE place to be if a home with open spaces, multiple bedrooms, and acreage to spare are on your next PCS wish list. Fort Hood, Texas, neighborhoods have quite the offering with these roomy qualities available. Don’t worry, you won’t have to blow the budget to have access to this type of freedom; there are featured homes at multiple price points which will be attractive to many house hunters. What’s the best way to enjoy a Texas summer? 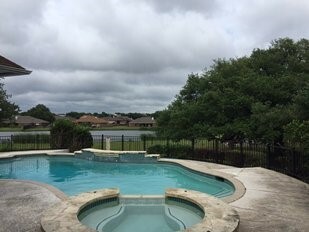 Swimming in your very own pool admiring the lake views ahead! The landscaping around this house shows like a magazine cover. The majestic trees in both front and back yards provide coveted shade during the hot months and the covered patio in back offers even more space for entertaining and views of the water. 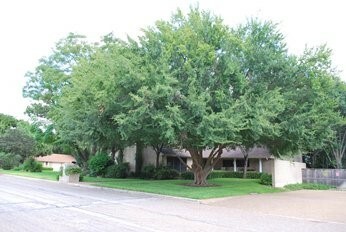 This property is handsomely contained with a wrought iron fence around the perimeter. Not interested in replacing carpet? The majority of this home comes with cool to the touch ceramic tile or easy to clean wood flooring. The house is also dressed up courtesy of crown molding, built-ins, and a three-sided fireplace in the master bedroom. Not to be outdone, the kitchen has several custom features including ash cabinets with a wine rack, gas cook top, and stainless appliances. Granite on the counters completes the high end look. At this price, buyers will find the property hard to pass up! **Note: this home is no longer listed. See the following lists or check out current MilitaryByOwner listings for the Fort Hood area. Read this: one acre, 3,166 square feet, five bedrooms, three baths. Does this custom home have enough space for you? Not only does this gorgeous stone-faced ranch rest upon a corner lot, the open floor plan inside feels light and airy because of the expansive square footage and high ceilings. Perfect accommodations for those buyers looking for more space! The kitchen is the place to be with a showpiece of an island secure in the center. More than enough storage space is found throughout the Knotty Adler cabinetry. The stainless built-in appliances and granite counters that are regularly on the top of buyers' must-have lists are ready and waiting for the next owner to make good use. Unique colored and stamped concrete floors are a special feature found in the common areas of the home, but in the bedrooms, comfortable and neutral carpet runs throughout. In back, an upscale outdoor living space offers guests a view of vast blue skies and green landscape. If the weather turns chilly, the outdoor fireplace will warm everyone up nicely. Add it all together and, you’ll get the quintessential Texas home--complete with wide open spaces. Located less than 10 miles from Fort Hood, it would seem a 4,000 square-foot home would be an impossible luxury. But it isn’t. A home with a private master bedroom courtyard isn’t something you see every day, but this amenity is only one of the many special features this home has to offer. The location on Trail Crest Drive makes for an easy commute to base, schools, shopping, and has convenient access to I-35 for road trips headed to Austin or Waco. Built on a cul-de-sac, this grand brick home makes a statement in the Yowell Ranch Subdivision. Plenty of character and charm await new owners in this home, starting with the grand arch way details over the front door. After entering the foyer, the details are repeated inside, providing plenty of architectural interest in the house. With size on their side, the living spaces will more than accommodate family gatherings of all kinds, and your guests will want to return year after year. Five bedrooms and a rec room make visiting quite comfortable. A bonus feature found throughout is the amount of perfectly placed windows. Even on cloudy days, this home will be bright thanks to their abundance. Homeowners will enjoy the well-deserved amenities the neighborhood provides: junior Olympic pool, children's pool with pavilion, walking and jogging trails, playscapes, basketball court, and a sweet duck pond. For $234,500, home shoppers will immediately be able to envision the aesthetic changes they’d like to call their own. Fort Hood is one of the military’s most heavily populated areas, and MilitaryByOwner makes sure to showcase many properties very near the base as well as a bit of driving distance away. 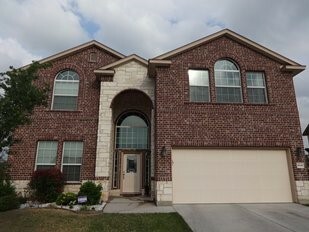 Homes for sale and for rent in the area can all be previewed with one query, using Texas and Fort Hood as your first search terms which will bring up multiple listings.